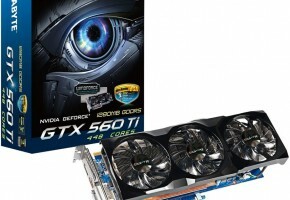 EVGA announced a pair of new graphics cards with 448 cores, the EVGA GTX 560 Ti FTW and the EVGA GTX 560 Ti Classified. 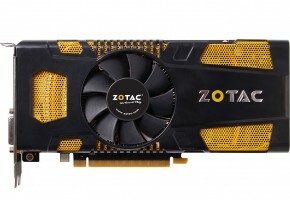 The two cards have identical specs and key features. 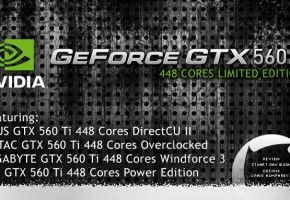 They both feature 797MHz core clocks, 3900MHz memory clocks, and 1594MHz shader clocks; 448 CUDA cores; PCI-E 2.0 bus; and 1280MB of GDDR5 memory. 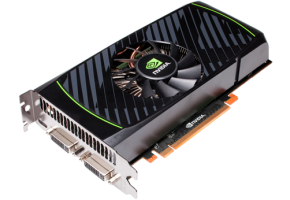 Both offer support for DX11; OpenGL 4.2; and NVIDIA’s CUDA, PhysX, PureVideo HD, and 3D Vision Surround technologies. They also can handle up to 3-way SLI setups. The differences between the two cards include their respective lengths (the FTW is 9 inches long compared to the 10.5-inch Classified), weight (2lbs versus 3lbs), and number of fans (one versus two). Further, the FTW card has HMDI, DisplayPort, and Dual DVI ports, whereas the Classified has mini HDMI and two DVI ports. We’d like to tell you how much these cards will cost, but well–that’s classified. 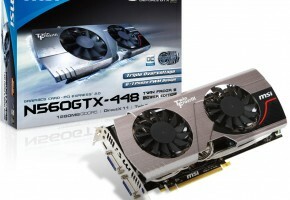 November 29, 2011 — Experience gaming nirvana with the EVGA GTX 560 Ti 448 Cores. EVGA has boosted this card to 448 Processing Cores, upgraded the memory to 1.2GB and added full support for NVIDIA 3-Way SLI, making an excellent card even better. 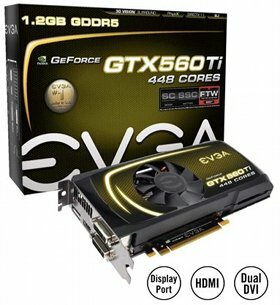 This new card from EVGA offers better performance, better features and a better warranty than competitors! 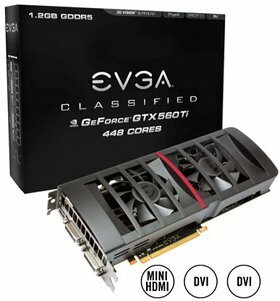 Also, EVGA also has a Classified edition available. This card features an upgraded 6 Phase PWM, Dual Fan design, and 8+6pin power inputs bringing extreme over clocking performance!